Chrome is great even if you just leave it alone and use it with the default settings. But I like to customize and “tweak” it a few different ways to make it even better. Basically what I’m describing here today is the process I go through when I’m setting up Chrome on a client’s computer they’ve just purchased, or on a laptop that I’ll have available for sale. The following steps involve going in to the Chrome Settings. To get to that area, you need to click the 3 little dots in the top right area of the Chrome window (see below). That will give you a menu, and in that menu you can click on “Settings”. For Windows 7 or 8, that’s just about all you have to do. For Windows 10, it will take you to a “Default Programs” page in the Windows settings, and you have to choose Chrome from a list. They’ll pop up a message about how great Edge is to talk you out of it, but you just click on “Switch anyway” and it’s done. 2. Set your home page tabs. When Chrome opens, you can have it open just one tab to whatever website you want (such as just the plain Google search page, or Facebook, or something else). Or, you can have it open a bunch of tabs with a different website in each one. For me, I have about a half-dozen tabs open each time I open Chrome (these are websites I visit regularly). So the first thing you do is open up whatever websites you want, one in each tab. You just need to get Chrome set with those websites. Then click to the Settings area, and scroll down to the “On Startup” section, and click on “Open a specific page or set of pages”, then click on “Use Current Pages”. Now close Chrome and open it again, and you’ll see all of your tabs are right there, and they’ll be there like that every time you open Chrome. Then click on the “Manage Search Engines” arrow and you’ll see a list of the “other” search engines that are available (like below). Click on the 3 dots out at the right side of each one, and choose to remove them one by one (except for Google, of course). Why Google even includes those other search engines, I don’t know (especially junk like Ask). 4. Set up your ad blocker. I wrote a whole blog post about this recently. The ad blocker I use and recommend is uBlock Origin. 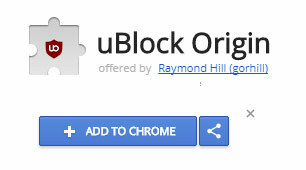 If you open Chrome and do a Google search for “ublock origin” it will be the first thing that comes up. Just click it and follow the instructions for installing it as an extension in Chrome. It’s the best thing in the world for blocking ads on almost any website you visit. For my own computer, the other extension that I definitely install is LastPass. This is the program that stores all of my passwords for me. This means that I can use really long, random passwords – and LastPass actually creates them for me as well. I don’t set up LastPass on the laptops that I sell because you have to have a LastPass account (which is free). But I definitely recommend it. 5. Display the bookmarks toolbar. For websites I check on regularly, I like the convenience of having them right at the top of my Chrome window, ready for me to click at any time. To do that, you have to tell Chrome to display that toolbar all the time. To do that, just hold down Ctrl and Shift, and tap the letter “b” (for bookmarks). You’ll see the toolbar show up right under the address bar in Chrome. And you can drag any website address there you want, and it will always show up there for quick, easy access. These are the things I do as part of my routine when setting up Chrome. But of course, there are LOTS more ways you can customize it. There are thousands of Chrome extensions that do all kinds of cool things (in fact, I’ll probably do a blog post about the best Chrome extensions at some point – if you have a great one, let me know about it). That’s exactly how I set Chrome up too. I tried chrome. 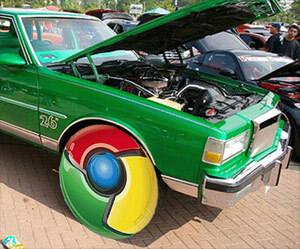 I don’t know why I keep hearing it’s the greatest browser. For me not so much. It looks like too much work and is not user friendly. I’ll stick with firefox. And I never use google as a search. Ixquick is my choice. I don’t like google selling my info. Thanks for the weekly column.